Michael Romero, Five Ring Champion. Oil on wood panel; 19 x 26 in. En Hong, Girl with Flag. Oil on canvas; 14 x 18 in. Espana Garcia; Acrylic on wood panel; 12 x 19 in. Who is America? 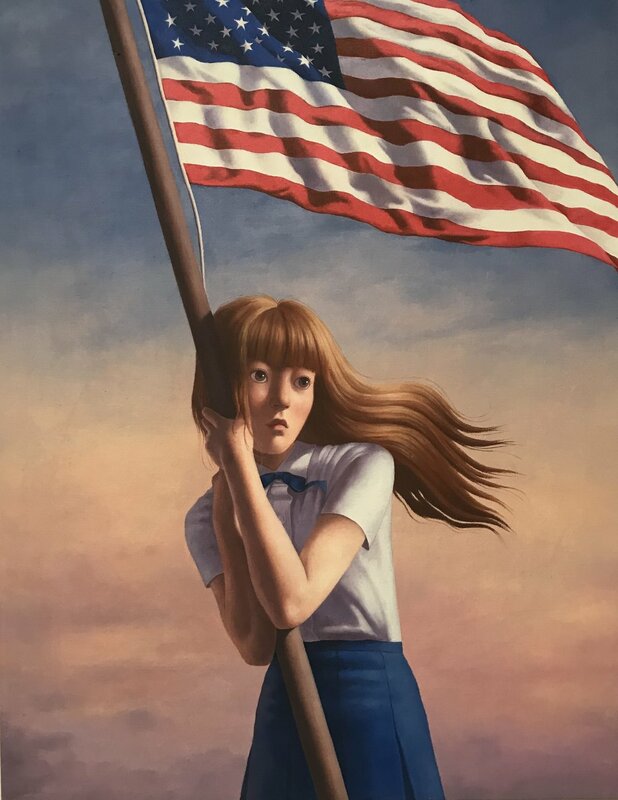 is a group exhibition featuring new works by a variety of artists that have been created to depict individual interpretations of life in America. All works were procured through an open call for entries, which allowed for a broad range of stories, translations, and experiences. This exhibition will be closing January 31.